Mortal Engines is director Peter Jackson’s new epic, coming to theaters December 2018. (1) PETER JACKSON MUSEUM PROJECT AT RISK. The New Zealand Herald says the Wellington City Council got a long grumpygram from the famed director: “Peter Jackson threatening to pull plug on Wellington’s movie museum”. There are 55 things he’s unhappy about. The Wellington City Council is refusing to comment on reports Sir Peter Jackson is threatening to pull the plug on the capital’s $150 million Movie Museum. The famous director has been working with the council to create the new attraction i but a report this morning claims that relationship could be on rocky ground after Sir Peter sent an angry letter to the council. Councillors have described it as a “divorce letter”, according to Fairfax. Fairfax reports Jackson sent the letter out of anger over how the council has been managing the museum plans. (2) MIRRY CHRISTMUS. Adweek tells how “Air New Zealand’s Christmas Ad Takes the Piss Out of Its Own Country’s Accent”. Deck the halls! It’s yet another ad in which the fictional inner workings of Santa’s workshop are imagined in elaborate detail. This time around, Santa is a kind of corporate virtuoso, seated behind a desk, where he takes direct calls from kids and manages linguistic switching with finesse while a fawning elf takes notes on a tablet. Then the New Zealanders start dialing in. What kind of kid asks for a new beard, a biscuit ball or an ear plane? (4) DON’T GET ‘LOST IN SPACE’. “This Spacesuit Comes with a “Take Me Home” Button” — a patent has been filed. The system can operate the jet pack autonomously or give the astronaut directions with a combination of visual, auditory and sensory cues through a web of sensors and a helmet visor display. If something were to happen during a spacewalk (also known as an Extravehicular Activity, or EVA) the self-return system can be initiated by the astronaut, a space station crewmember or mission control. Draper’s “take me home” system features options. According to the patent, the spacesuit’s sensors can be configured to monitor movement, acceleration and relative position of the crewmember to a fixed object, such as an accompanying orbiting spacecraft. The navigation, guidance and control modules can also accommodate various scenarios. For instance, the navigation module can be configured using GPS, vision-aided navigation or a star-tracker system. To improve the astronaut’s positioning and orientation, Draper has developed software that fuses data from vision-based and inertial navigation systems and benefits from the advantages of both sensing approaches. (5) NPR PICKS. The 374 books in “NPR’s Book Concierge, Our Guide To 2017’s Great Reads” include 54 in the science fiction and fantasy category. (6) WINTER JACKETS. 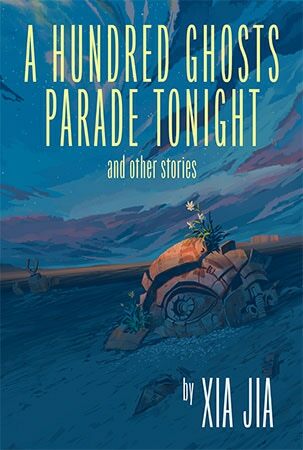 Six SFF wrappers made a Bookish list of “The Best Book Covers of 2017”. People say you shouldn’t judge books by their covers, but here at Bookish we’re not just readers—we’re cover-judging-rebels. As 2017 draws to a close, we wanted to pay homage to the incredible designs that stood out on bookstore shelves like works of art. Are you a rebel too? Let us know what your favorite covers of 2017 were! But where are the covers from McEdifice Returns, I ask you? (7) DID YOU HEAR THAT? As John Brunner said in The Shockwave Rider, “The Future arrived too soon and in the wrong order.” Gizmodo’s Adam Clark Estes argues “Don’t Buy Anyone an Echo”. (8) DARK INSIDE, Find out more about the new Netflix Dark series, including spoilers, in Camestros Felapton’s “Dark Debrief”. I’ve finished watching the German Netflix show Dark and it was indeed Dark. I also bought and ate a Twix today without thinking. Spoilers below as this post is for me to take stock and make notes of the twisty turns – particularly if there is a second season as the ending implies. A fold and then don’t continue unless you like spoilers or have watched it all already. To make life easier, characters get a year after their name so you know who is when. If I’ve got names wrong please correct me! (9) TODAY’S STAR WARS CLICKBAIT. According to CheatSheet, “‘Star Wars: The Last Jedi’ New Trailer May Have Answered This 1 Lingering Question”. Fans will recall that in the main trailer for Star Wars: The Last Jedi, Luke Skywalker says, “I’ve seen this raw strength only once before. It didn’t scare me enough then. It does now.” This comes after a scene in which Rey cracks the ground while training on Ahch-To, so it communicates the idea that Luke is actually scared of Rey because she is so powerful and does not want to train her. But when Luke makes reference to seeing raw strength “once before,” who is he talking about, exactly? In the trailer itself, he doesn’t specify, and this is something fans have been in disagreement about. Mike Kennedy sends news of a Saturnian conspiracy uncovered by Calvin and Hobbes. (13) SIR PAT. 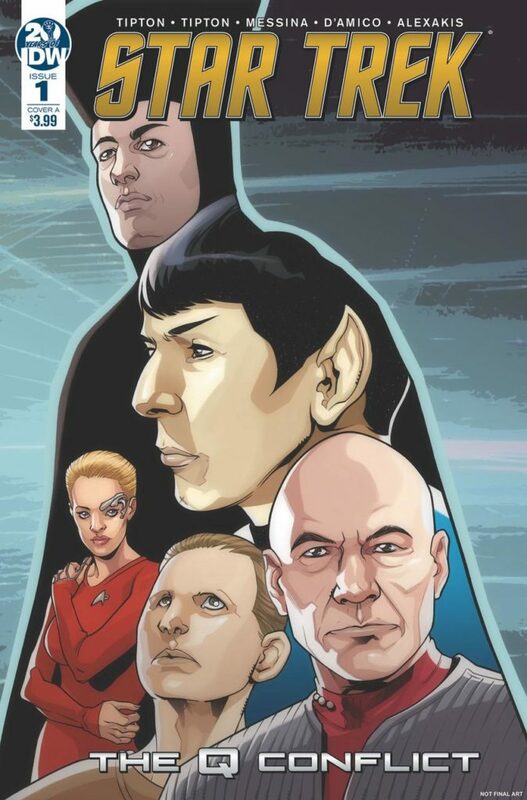 Brent Lang of Variety, in “Patrick Stewart on ‘Logan,’ Harvey Weinstein and Returning to ‘Star Trek’”, learned that Sir Pat Stew was very proud of his work on Logan but “I cannot think of another chance” to play Jean-Luc Picard. How did you prepare to play an aged Charles Xavier in “Logan”? I lost 20 pounds. I’ve always been blessed by being able to lose weight easily, and I spread this out over the span of a few months so that it was easier to take. When I lose weight, it tends to be most noticeable in the face, and that’s what I wanted. I wanted to look sick and undernourished and stressed and frail and vulnerable. Hugh had to carry me in the movie, and I assured him that I would do my damnedest to make sure I was carry-able. Is this your last “X-Men” movie? Oh, yes. Hugh had been on record that this would be his last time before “Logan” even started shooting. I hadn’t given it a thought until I saw the film for the first time with an audience at the Berlin Film Festival. It was Hugh and James Mangold and myself, and when it got to the last 10 minutes of the movie, it was emotional and intense, and I could feel myself getting choked up. Then I looked over at Hugh and he was wiping his eyes, and I thought if Wolverine can weep at a movie, Charles Xavier can do the same thing. Then Hugh reached over and grabbed my hand and we held hands for the rest of the movie. (14) DYSTOPIC CHOW. An author and a chef imagine how we’ll eat if bees and fish vanish in “A Dinner at the End of Our World” at Atlas Obscura. Last week, did you notice Thanksgiving is dying? Each year, more than 100,000 visitors trek through and around a cluster of solemn, hauntingly impressive late-18th Century buildings on the hem of England’s Peak District National Park. This is Cromford Mill, Derbyshire, founded in 1771 by the entrepreneurial inventor Richard Arkwright. Here, long before Henry Ford was born, mass production began. In these buildings – their floors free of partitions and with windows on all sides – water-mills powered looms that spun reams of cotton, 24 hours a day, the chattering machinery attended by children as young as seven, working 12-hour shifts. Cotton ceased spinning here in the 1840s as the great mills in and around Manchester took on the challenge of making and shipping cotton to the world. The massively ambitious Houldsworth Mill in Reddish, designed by Abraham Stott, was one of the mightiest temples yet devoted to industrial technology when it opened in 1865. Everything before the balloon’s take off (the first 20 minutes or so) was funny, clever, and fast paced. The first scene, in which the professor and his inventor friend take reluctant investors on a demonstration flight, and then the next bit in which the professor prepares for the expedition and collects funds and crew, was quite fun to watch! But once he’d picked up the American reporter, and the balloon took to the skies, the movie ground to a sudden halt. Unfortunately it never seemed to pick back up again either. The entire movie was: the balloon flies around, lands someplace; the crew gets out and gets into trouble, they run back to the balloon and fly away. There were no real conflicts, because they could always just retreat to the balloon and escape danger. Moreover, many of these scenes went on for ‘way too long. There was never any real tension through the whole movie, and without tight pacing of events, the movie felt like it was really dragging on for five weeks! Logan Moore, 16, surprised family and neighbours when he quickly built a wooden structure in his backyard. (19) PLONK YOUR MAGIC TWANGER. App calls on citizen scientists for Australia’s frog count. Croaks and chirps. Even whistles and barks. These are some of the sounds that Australian frogs make, and local biologists are hoping members of the public will help record them on a new app called FrogID. It is part of a conservation effort to better track 240 frog species around Australia. Scientists also believe the crowd-sourced mapping could lead to the detection of new species. Australians are encouraged to record and upload the sounds of frogs they hear anywhere, from their suburban backyard to the outback. (20)TODAY’S 10,000. Google pledges 10,000 staff to tackle extremist content. Google will dedicate more than 10,000 staff to rooting out violent extremist content on YouTube in 2018, the video sharing website’s chief has said. Writing in the Daily Telegraph, Susan Wojcicki said some users were exploiting YouTube to “mislead, manipulate, harass or even harm”. She said the website, owned by Google, had used “computer-learning” technology that could find extremist videos. More than 150,000 of these videos have been removed since June, she said. (21) WOLVERINE DRAMA PODCAST COMING. Marvel New Media and top podcast listening service Stitcher today announced “Wolverine: The Long Night” , the first-ever Marvel scripted podcast, launching in spring 2018. The 10-episode series will be available exclusively on Stitcher Premium until fall 2018, when it will see a wide release across all podcast platforms…. The show’s cast includes notable actors Richard Armitage (“The Hobbit”), Scott Adsit (“30 Rock”), Bob Balaban (“Moonrise Kingdom”) and Brian Stokes Mitchell (“Mr. Robot”). The “Wolverine: The Long Night” story is a captivating hybrid of mystery and the larger-scale fantasy of the Marvel Universe. It follows agents Sally Pierce (Celia Keenan-Bolger) and Tad Marshall (Ato Essandoh) as they arrive in the fictional town of Burns, Alaska, to investigate a series of murders and quickly discover the town lives in fear of a serial killer. The agents team up with deputy Bobby Reid (Andrew Keenan-Bolger) to investigate their main suspect, Logan (Richard Armitage). Their search leads them on a fox hunt through the mysterious and corrupt town…. Also cast in the series are actors Zoe Chao, Chaske Spencer, Jordan Bridges, David Call, Michael J. Burg and Lannon Killia. Chris Gethard, host of the popular “Beautiful Stories from Anonymous People” podcast, also will make a cameo appearance. The cab costs £55,599 up from £45,000 for the newest petrol equivalent. Chris Gubbey, boss of manufacturer the London Electric Vehicle Company (LEVC) insists the cab will “play a major role in helping to improve air quality”. The launch comes weeks ahead of rules requiring new cabs in the capital to be capable of emitting zero emissions. More than 9,000 such taxis, roughly half the current black cab fleet, are expected on London’s roads by 2021. (23) LETTER MAN. BBC meets the designer of “The typeface that helps dyslexics read”. Dyslexie is a font that aims to overcome some of the problems that people with dyslexia can have when reading. Due to the way their brains process visual information, they will often subconsciously switch, rotate and mirror letters, making it harder to recognise the characters. It is thought that their brains start treating two-dimensional letters as three-dimensional objects that can be freely manipulated. When this happens, the letter “b” can look like a “d”… or a “p” or a “q”. It is easy to see why this can quickly become confusing. 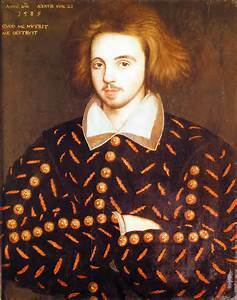 (25) MORE PLAUDITS FOR MARLOWE. 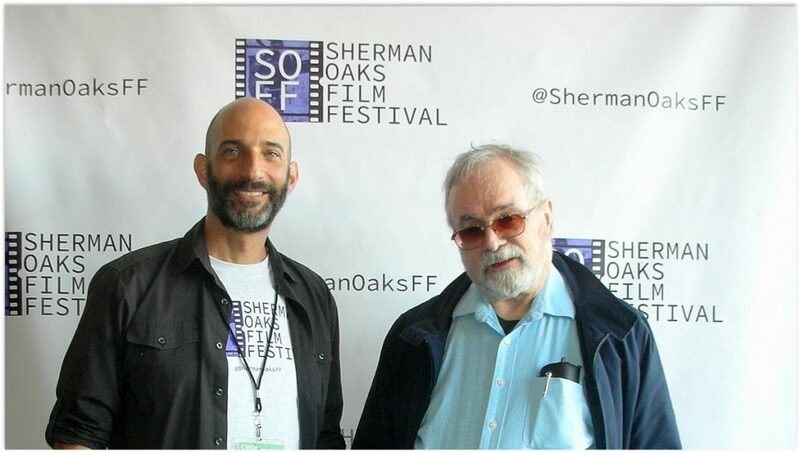 Francis Hamit takes another prize — “Christopher Marlowe Screenplay Wins Grand Jury Award At Sherman Oaks Film Festival”. Francis Hamit’s “based on a true story” screenplay for the forthcoming feature film CHRISTOPHER MARLOWE has won the prestigious Grand Jury Award at the Second Annual Sherman Oaks Film Festival held in November. 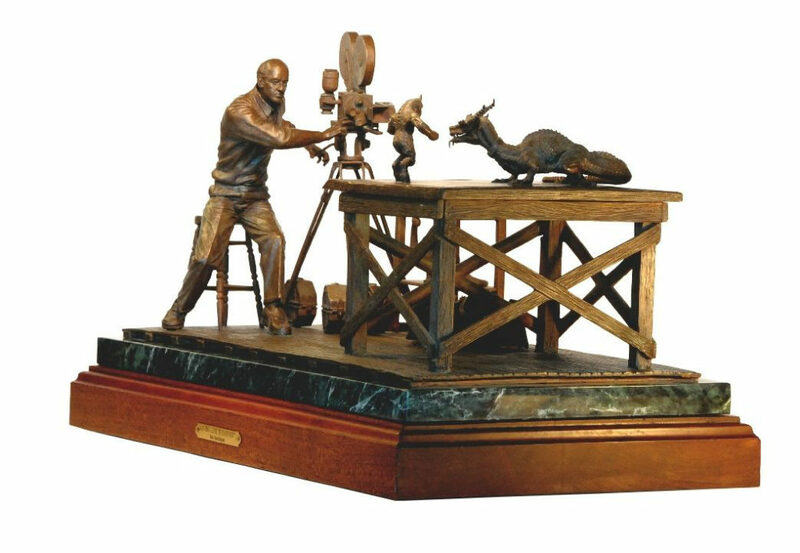 This is the fourth major award for this unproduced screenplay. Previous wins were at the GO Independent International Film Festival in Washington DC, The New Renaissance Film Festival in London, England and the 2016 Hollywood Book Festival. The well-researched script about the Elizabethan-ere poet, playwright and secret agent for the Crown is a classic tragedy about a brilliant man undone by his own fatal flaws in the form of a spy thriller. Festival director Jeff Howard and Francis Hamit. (26) TRAVELER FROM AN ANTIC LAND. Another testimony to TSA screening! Got the row on the plane to myself again. Any implication that I strangled my row mate and stuffed their body into the luggage compartment to get it is ignoble. Not many friends of mine would want to depend on Peter Jackson’s knowledge of Tolkien to keep them out of jail, but Deadline says Jackson has left comments on social media in an attempt to help Turkish doctor Bilgin Çiftçi avoid a prison sentence for insulting his country’s president. 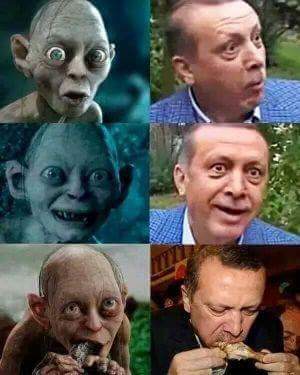 As reported in December 2’s Scroll, the doctor is charged with insulting President Recep Tayyip Erdogan by comparing him to Gollum in a set of photos posted to Facebook that showed them both expressing surprise and amazement, and eating. However, when challenged by defense counsel, the judge in the case admitted he had seen only parts of the movies from which the images were taken. So the judge now has appointed five Lord of the Rings experts to figure out whether this Gollum meme is offensive, according to the Istanbul newspaper Today’s Zaman. The court ordered that the investigation be conducted by a group composed of two academics, two behavioral scientists or psychologists and an expert on cinema and television productions. They are due to testify about their findings when court reconvenes in February. Meanwhile, Deadline’s post “Peter Jackson Sets Turkish Court Straight On ‘Lord Of The Rings’ Lore Error” reports that the director and his screenwriters Fran Walsh and Philippa Boyens deny these are pictures of Gollum at all. The situation is exacerbated however by the fact that the two characters are quite distinct, and the court overseeing the case mistakenly believes the image to portray Gollum, not Smeagol. Now three indisputable experts on the character who weren’t summoned to Turkey have weighed in on the matter – LOTR trilogy director Peter Jackson and his LOTR screenwriters Fran Walsh and Philippa Boyens. Walsh, who is responsible for most of the scenes involving the character, went further. “Smeagol is a joyful, sweet character. Smeagol does not lie, deceive, or attempt to manipulate others. He is not evil, conniving, or malicious — these personality traits belong to Gollum, who should never be confused with Smeagol,” she said. Because, of course, everyone understands Doctor Çiftçi only meant to compliment the president on his Smeagol-like instincts for ethical behavior. Will Peter Jackson direct an episode of Doctor Who? In a video shot at his home in New Zealand, Jackson and his daughter Katie converse about Steven Moffatt’s efforts to sign him for the series. The byplay is described in the Guardian, including the punchline. Later in the video, the Timelord himself, Peter Capaldi, appears at the door in full costume, with a sealed envelope containing a contract from Moffat and the BBC. The Doctor Who actor has just visited New Zealand as part of a series of fan events. “I’m the Doctor,” Capaldi says in the video. “Who?” asks Jackson. “Correct,” says Capaldi, in a nod to the perennial schoolyard joke, before being chased out of the room by a Dalek. The video puts one further tease on the table – literally – in the shape of a bashed-up copy of JRR Tolkien’s book, The Silmarillion, complete with pink Post-it notes. Thirty genre films made this year’s Classic fM Movie Music Hall of Fame, voted on by thousands of Britons. The iconic music for Peter Jackson’s The Lord of the Rings has topped the Classic FM Movie Music Hall of Fame for the sixth year in a row – narrowly beating John Williams’ score for Schindler’s List and, in third place, Hans Zimmer’s music for Gladiator. (1) The title of Jeb Kinnison’s review encapsulates his opinion — “’Tomorrowland’: Tragic Misfire”. Having seen mixed reviews, I waited until Tomorrowland came out on cheaper streaming services. Directed and mostly written by Brad Bird, auteur of brilliant work like Iron Giant and The Incredibles, the previews looked promising — a story about the shiny visions of the technological future we had as kids in the 1960s, and a world where they actually happened. (2) An old b&w photo of a scientist controlling waldos to diaper a baby doll is one of the relics in the Vault of the Atomic Space Age. (3) William Shatner tells how his face was used for the mask that Halloween film franchise killer Michael Myers wore. (4) “Jim Burns’ Halloween Reverie: Then and Now” from last year, at the local New York CBS station’s website. Twenty-five years ago, youngsters at my door could see through the screen to a life-sized Superman and Batman that were just past me, in the living room. On another night, every window of my home was adorned with special Halloween themed balloons, the merry Mylar reaching high into the October sky. For another year, a wide assortment of latex masks of classic Hollywood monsters (a wolfman, a mummy, Planet of the Apes’ Dr. Zaius and creatures from The Outer Limits)–an amazing collection I had somehow acquired–peered out from those portals, gazing upon a lawn filled with a virtual galaxy of giant pumpkin lawn bags! (5) How big did you say those pumpkin bags were, Jim? A giant inflatable pumpkin got away the other day in Arizona…. Diego Ramirez captured video of the 25-foot-tall jack o’lantern blowing around in traffic after it broke free of its straps at the Peoria Sports Complex. “I was so shocked to see that it was like bouncing like a basketball all the way down the road,” Patrick Sparkes of Big AZ Promotions, the company that owns the decoration, told KPNX-TV. The company said the 350-pound pumpkin broke free from its straps with the help of strong winds. “We showed up and it wasn’t there and we spent the last 40 minutes driving around looking for it,” Sparkes said. There were no injuries from the pumpkin’s dash for freedom, but there was some damage done to streetlamps. (6) The Addams Family: The Broadway Musical evidently has been around for years, but it’s news to me! THE ADDAMS FAMILY features an original story, and it’s every father’s nightmare. Wednesday Addams, the ultimate princess of darkness, has grown up and fallen in love with a sweet, smart young man from a respectable family. A man her parents have never met. And if that weren’t upsetting enough, she confides in her father and begs him not to tell her mother. Now, Gomez Addams must do something he’s never done before — keep a secret from his beloved wife, Morticia. Everything will change for the whole family on the fateful night they host a dinner for Wednesday’s “normal” boyfriend and his parents. SCOTT SIMON, HOST: Misunderstood, misunderstood. JACOBS: Misunderstood – that’s what I’m here to do is trying to salvage the reputation of some of these Halloween monsters. So yes, Frankenstein I think gets a really raw deal in the reputation department. We all think of Frankenstein’s monster as this monosyllabic idiot from the movies. But actually, in Mary Shelley’s original novel from 1818, Frankenstein’s monster was more of a sensitive intellectual type. He read Plutarch and Goethe. 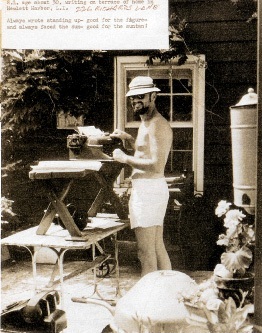 He was more Brooklyn hipster and less unfrozen caveman. October 31, 1926 – Harry Houdini dies. Harry Houdini, the most celebrated magician and escape artist of the 20th century, dies of peritonitis in a Detroit hospital. Twelve days before, Houdini had been talking to a group of students after a lecture in Montreal when he commented on the strength of his stomach muscles and their ability to withstand hard blows. Suddenly, one of the students punched Houdini twice in the stomach. The magician hadn’t had time to prepare, and the blows ruptured his appendix. He fell ill on the train to Detroit, and, after performing one last time, was hospitalized. Doctors operated on him, but to no avail. The burst appendix poisoned his system, and on October 31 he died. October 31, 2001 — Lovecraft adaptation Dagon makes its theatrical premiere in Spain. October 31, 1961 — Peter Jackson is born on Halloween in Wellington, New Zealand. 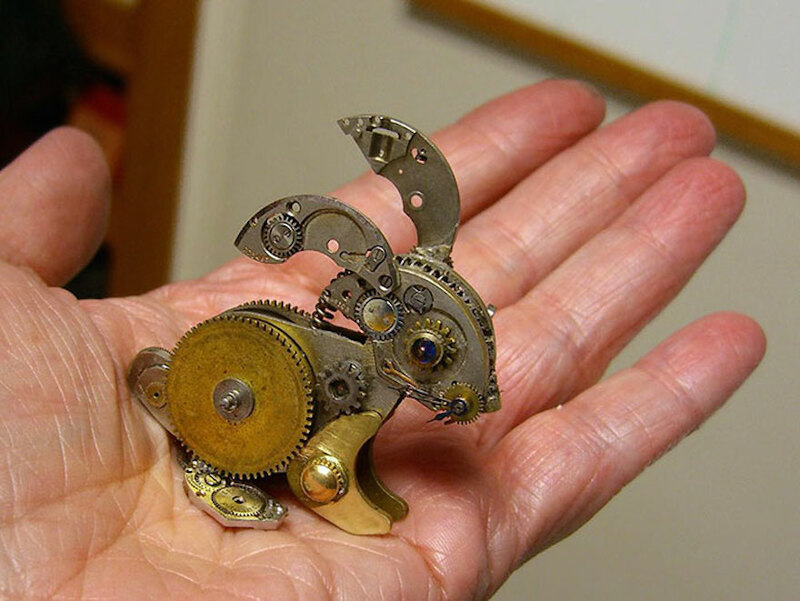 (11) The photo comes from “Susan Beatrice Recycles Old Watch Parts Into Intricately Detailed Steampunk Scultptures” on EarthPorm, but here full gallery is here. Amazing stuff. Beatrice’s creations bring boring old gears and machinery to life. She has the ability to turn ratchets and other tiny technical parts into a lively mouse, seahorse or fairy. The more you look at her varied artwork the more you wonder what this woman can’t do… as it appears she can make everything out of anything. (12) How badly do you want to be one of the first people to see the new Star Wars movie? Air France can help you out. Lines will form at the crack of dawn on December 18 as die-hard fans set out to snag the best seats to see Star Wars: Episode VII – The Force Awakens in theaters. But some very lucky trans-Atlantic plane passengers will get the jump on them. In what seems like a ploy to rope super-fans into buying very expensive plane tickets, Air France will be letting passengers watch the much-anticipated flick two days before its official release, on December 16. The French airline is teaming up with EuropaCorp CINEMAS to offer the advance screenings for passengers on four Paris-bound flights, AF083 from San Francisco to Paris, AF065 from Los Angeles, AF011 from New York and AF009 from New York. 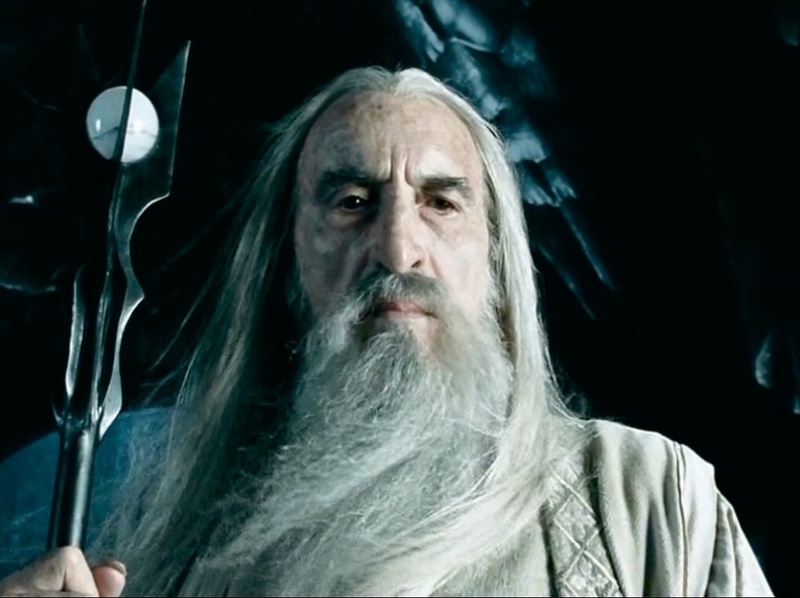 Air New Zealand, the official airline of Middle-earth, is promoting its tie-in to The Hobbit: The Battle of the Five Armies with “The Most Epic Safety Video Ever Made.” Corresponding to the third film in the trilogy, the four-minute video is the sequel to Air New Zealand’s “An Unexpected Briefing” (2012) and “Just Another Day in Middle-Earth” (2013). As two passengers decked out in gear from The Hobbit hurry to make their flight they sprint past the unlikeliest tribute ever to sport fishing in New Zealand and soon are aboard a flight with Sir Peter Jackson and Elijah Wood, listening to safety instructions from a variety of Elvish and wizardly personnel. 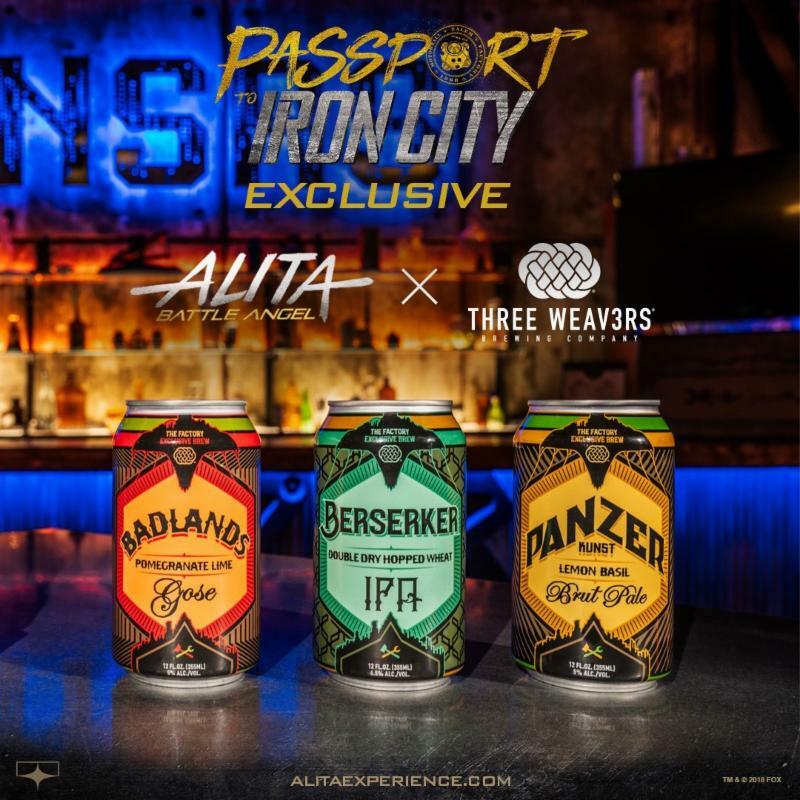 There are cameos by Sylvester McCoy (Radagast), Dean O’Gorman (Fili), Weta Workshop co-founder Sir Richard Taylor, the video’s director Taika Waititi and Japanese baseball player Naoyuki Shimizu. 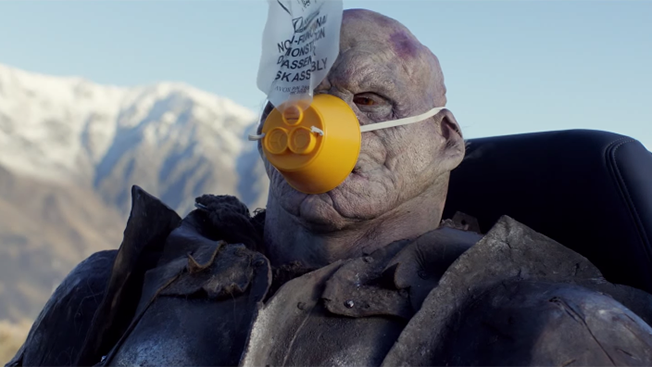 The new video also makes the most ambitious use of locations to date, shot all over New Zealand, including the set of Hobbiton, and it features armies of costumed and CGI orcs and elves, as well as a giant eagle. Is it the perfect literary gift — or the gift for a perfect illiterate? The amount of wordage devoted in this eBay advert for an autographed paperback of Tolkien’s Lord of the Rings to its being the basis for Peter Jackson’s trilogy could make you suspect the latter. That newly-discounted $20,000 asking price still sounds too high for a pre-movie-novelization. Had the seller stopped after the reference to Humphrey Carpenter’s biography who knows how much high rollers might have paid?